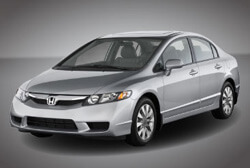 Keeping your Honda safely on the road for the most affordable price is our top priority. We work hard to offer the best quality service while keeping your family on your budget. Our commitment to customer service, the community and the environment are just a few reasons why many of our customers have trusted us for years with all their family vehicles. Here at Hollin Hall Automotive, our technicians have the skills and technology required to perform even the most comprehensive auto repair needs.